This set of neighborhood decorations allows you to make decorative roads in your ‘hood. 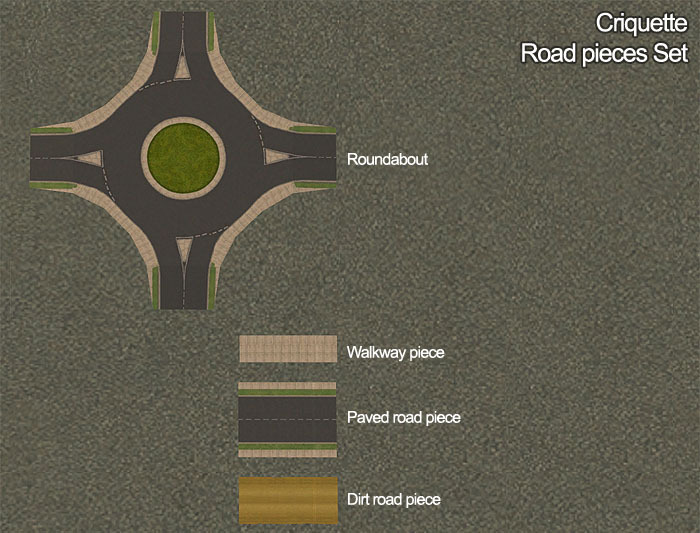 The main goal is ability to make some kind of eye candy curved roads. 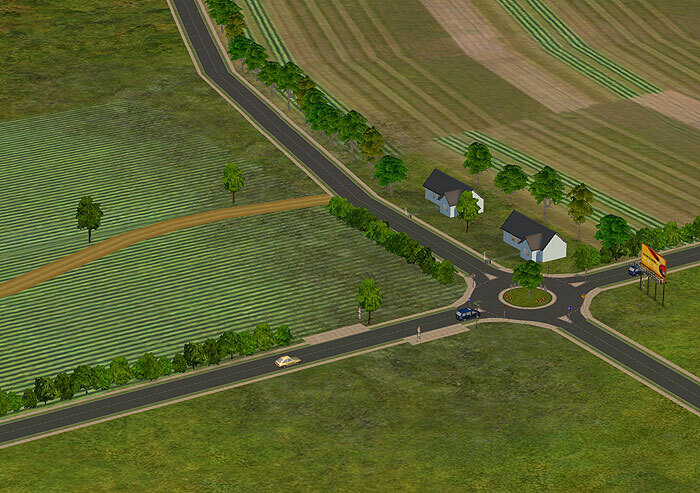 Please keep in mind, that this set is mostly for advanced simmers, with some kind of experience on making custom neighborhoods and using of neighborhood camera modds. Now, some info about the set. Fist of all, I’d like to say that this set is an eyecandy only. 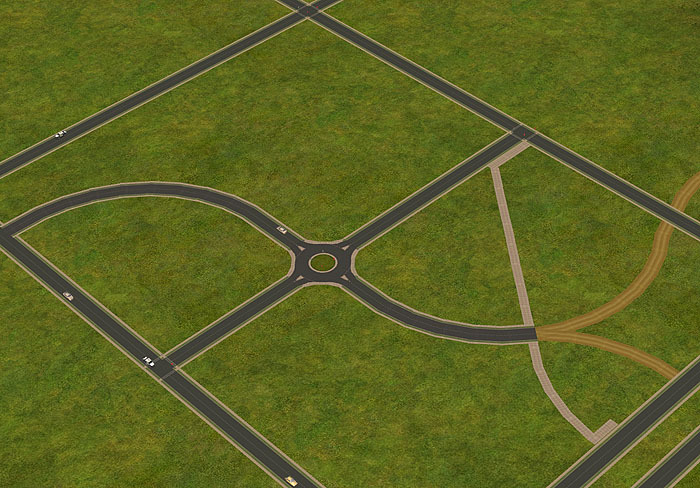 Since it’s a neighborhood decoration, it will not work as a real neighborhood road and you will not able to place any lots next to it. It does not animated, so you will not see any cars, moving along the pieces of this set. Any object of this set can be placed over the road and also over the lot. It is highly recommended to have a Free Time EP installed, to be able to edit exiting terrain, for better use of this set. Because of it was created for totally flat terrain, it may look bad on any kind of hills, mountains and terrain slopes – please keep this in mind when you will work on a decorative roads in your neighborhood. 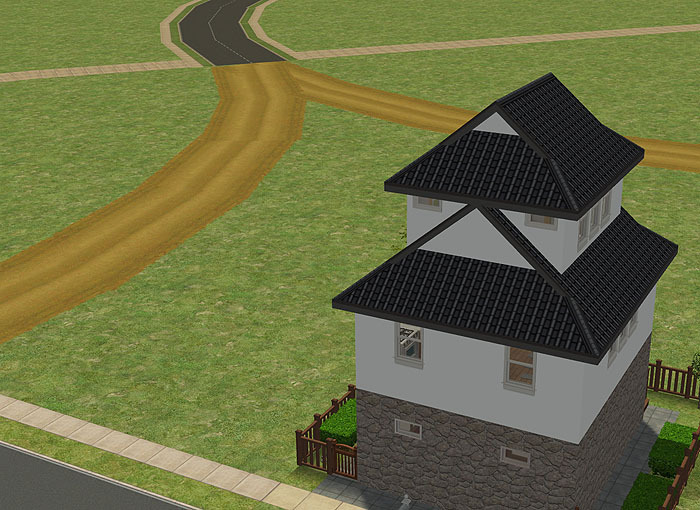 If you have a Free Time EP, use ‘modifyneighborhoodterrain on/off’ option, in other case, make sure that the terrain of your ‘hood does contain some flat area, where decorative roads can be placed. You will also need a lot of patience and some experience during decorative road construction, since there is no snapping to grid in neighborhood mode and the length of road pieces is about one ‘hood tile. Just put all the files from the zip to your S2 downloads folder. All the elements will appear in ‘Misc’ submenu of Neighborhood decorations. 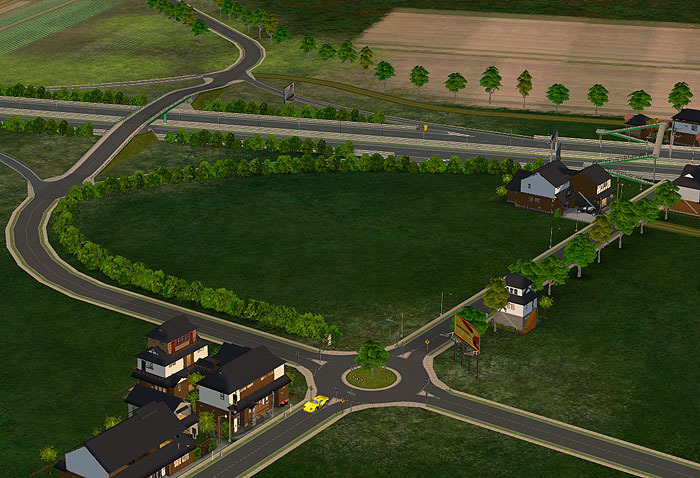 This set is kind of addition to my Basic Motorway Set, so you can check it out to have even more variations in a decoration of your neighborhood.